Charlotte Motor Speedway’s Roval was a gamble, but it seemed like a gamble worth taking for NASCAR and Speedway Motorsports Inc. Going for unpredictability and the unknown, they bet that something completely brand new would not only raise fan interest, but result in an increase in both attendance and ratings. Before the weekend, I noted that this Roval race might be NASCAR’s last chance to increase ratings. For all the fans who wanted more road courses, a road course in the Playoffs, and fewer 1.5 mile ovals, this was the perfect situation. If this race didn’t increase ratings, nothing would. 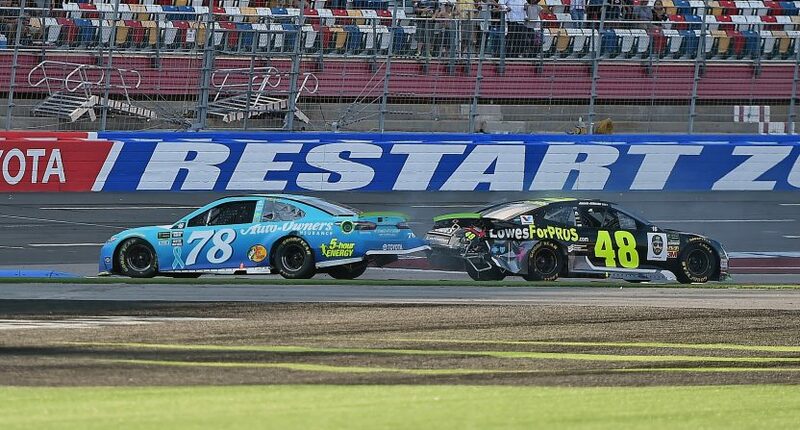 It also helped that the last part of the race provided incredible plot twists and the finish featured Martin Truex Jr., Jimmie Johnson, and Ryan Blaney, three of the more popular drivers in NASCAR. When Johnson tried to pass Truex and wound up spinning and taking both cars out, Blaney moved from third to first and we got the kind of finish we’ll be talking about for years. That was reflected in the ratings for NBC, as they announced a 1.99 overnight rating, a 10% increase compared to the Charlotte race last year, which was also on NBC. Sunday’s Monster Energy @NASCAR Cup Series race on @NBC from @CLTMotorSpdwy, featuring the debut of the ROVAL and a thrilling down to the wire finish between @JimmieJohnson, @MartinTruex_Jr & @Blaney, posted a 1.99 overnight rating, up 10% vs. 2017. The only big difference in the 2017 and 2018 broadcasts (other than the track) was that this year’s race was an elimination race for the Round of 16, whereas last year’s race was the first race in the Round of 12. That might have helped, but I don’t think that would be responsible for a ten percent spike. NBC also announced that this was the highest rated Charlotte fall race since 2014. The 1.99 rating for Sunday’s @NASCAR Cup Series race on @NBC is the highest overnight delivery for the Fall Charlotte race since 2014. NASCAR has seen a notorious downward trend in ratings that has really been worrying in recent years. The race before the Roval, at Richmond, NBC experienced the lowest overnight ratings for a race since at least 2000. This is at least a one race reprieve from the usual news before a big test next week’s at Dover. Dover and Charlotte swapped places this year so Dover was the elimination race last year. Now that they are the first race in a new round, it might be tough to keep the positive trend going.